Prime Minister John Major visited Pebble Mill in the 1990s and appeared on Good Morning with Anne and Nick for a sofa chat. He is shown here meeting Gail Herbert, Chair of the BBC Club and P.A., outside the front of Pebble Mill Reception. Between Gail and John Major is David Wayne, the Head of Building. 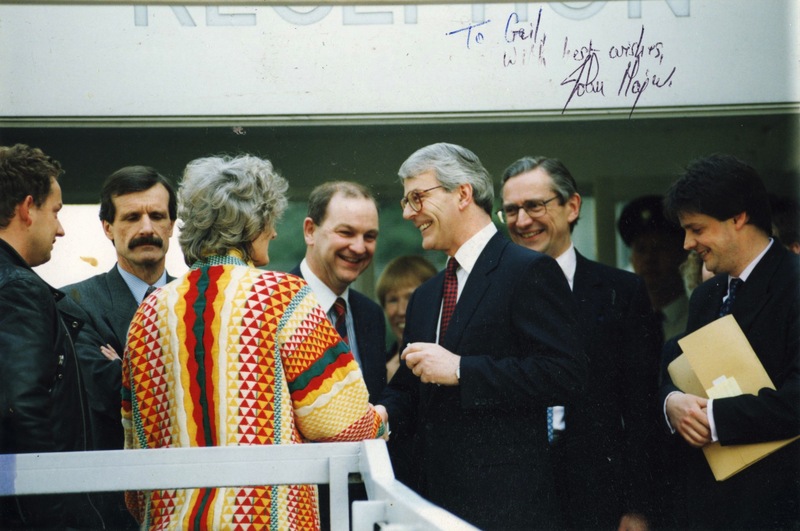 You’ll notice that John Major has signed the photo for Gail, who was a supporter of his.